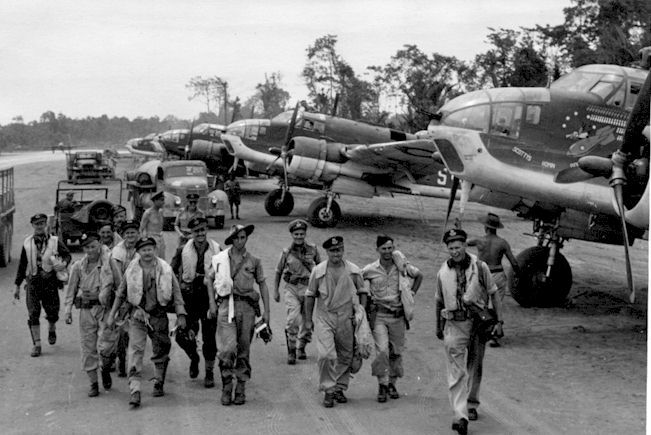 Part One of "Beaufort in RAAF Service" is a broad examination of the colours and markings of Australian built Beauforts of 100 Squadron RAAF while based at Tadji during 1944.. This article appears over two linked pages. 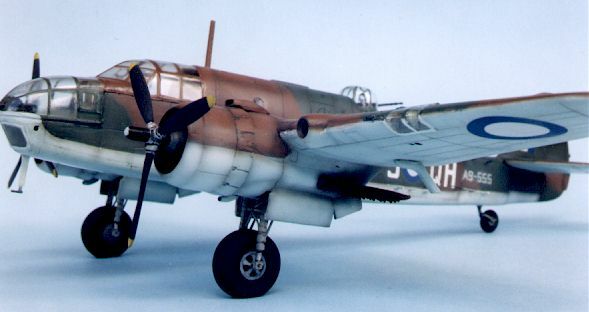 Page One displays Chris Wauchop's 1/72 scale Beaufort model and a wartime photograph of the subject aircraft. Page Two presents three captioned photographs of a Beaufort VIII of 100 Squadron recovered from the jungle of New Guinea in 1974. A cross-reference table with Federal Standard paint references and model paint equivalents is also supplied. Copyright (c) 1998, Brett Green. All rights reserved. All images by Brett Green unless otherwise stated. Material appearing within this document may not be copied, stored or reproduced in any device or publication, in whole or in part, for the purpose of profit without the expressed written consent of the author. 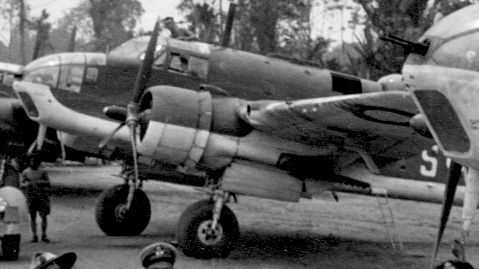 Howard Treloar was the Radio Operator/Gunner in the Australian built Beaufort VIII, serial number A9-555, QH-S of 100 Squadron RAAF at Tadji. 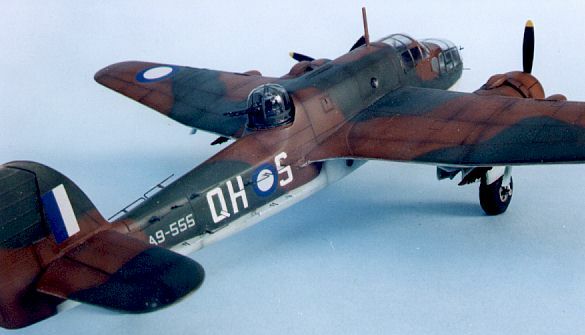 Howard supplied a photograph of a number of 100 Squadron Beauforts to Chris Wauchop as original material for a modelling project. The photo was taken during 1944. Howard's aircraft is pictured here. It is interesting to note the very low contrast between the two upper-surface colours on the Beauforts, and the very pale nature of the "Sky Blue" undersurfaces. A large variety of aircrew uniforms is also apparent. This is High Planes' 1/72 scale Beaufort as built by Chris Wauchop. 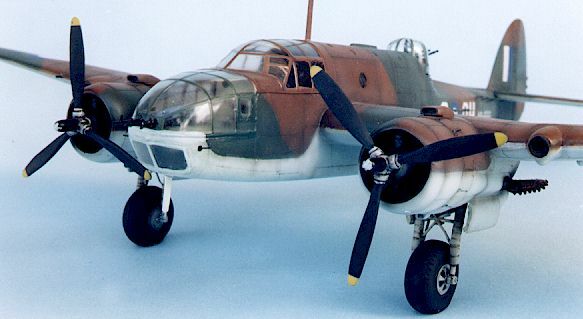 The model is accurate in outline and captures the look of the real aircraft. However, Chris recommends the kit to experienced modellers only. Being a limited run multi-media kit, the parts need careful preparation before assembly. Lack of locators also demands plenty of dry-fitting and patience. The canopy was too wide for the unmodified fuselage. Chris suggests test fitting the fuselage parts with the vac-form canopy and nose before gluing the fuselage halves. Any adjustment can be made using styrene strip to "space-out" the width of the fuselage. Chris wishes that he had done this! Some scratch-building of smaller parts is also required.